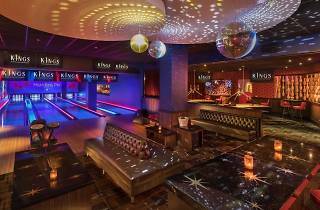 Located in the sprawling new CityPlace Doral, Kings Bowl is what would happen if you gave your classic neighborhood alley a couple cocktails, a fancy new designer shirt and told it to dance, baby. Alongside the venue’s 14 lanes, guests can enjoy private room karaoke, a rum lounge, shuffleboard, pool, and a food menu with dishes like avocado toast ($7.99) and spicy chicken pad Thai ($14.99) alongside bowling classics such as wings and burgers. Feeling fancy? 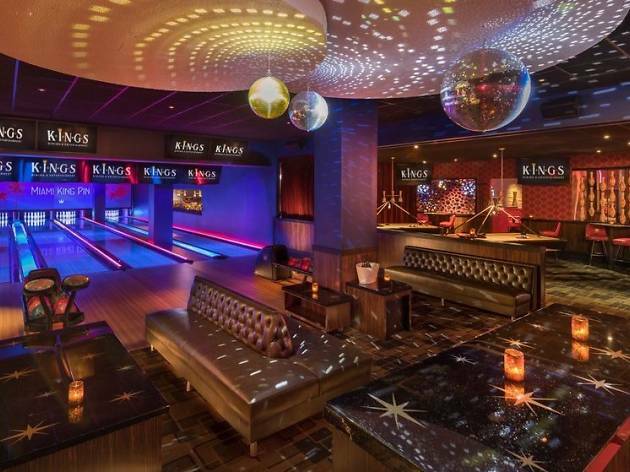 Book the private King Pin room and enjoy four lanes to yourself.